There’s something special about setting your son or daughter up with their very first car. You know it’s going to be that car in which lifelong memories are going to be made: as they taxi their friends around, fill up the floor with empty McDonald’s wrappers, and wash it religiously for the first month or so before giving up. And that’s where the age-old question kicks in – what’s the best first car you can buy as a parent? It needs to be reliable enough that it won’t cost them a fortune in repairs, but not too expensive as they are still learning and are at a higher risk of damaging it. It needs to be super safe, cost efficient to run, not too expensive to purchase to begin with, and “cool” enough for them to be happy when they see it. To help you out, Are You Selling has compiled a list of the best first cars to buy your son or daughter, whether it’s for this Christmas or for any time in the year. We’ve focussed on used cars so you don’t have to spend a fortune. And remember, if you’re selling off one of your old cars to pay for it, or your son or daughter eventually sells theirs; make sure you call our experts to get guaranteed cash for your car! Pros: The Honda Accord is a beautifully spacious vehicle that means your teenager can comfortable carpool with a group of friends. It’s got a record for being impeccably safe, and while it’s considered a “large” car due to the roominess inside, it’s not so big that it’ll be a problem parking. When you’re shopping, make sure you go for a four cylinder model (most of them are), and you’ll find your son or daughter will be able to experience awesome fuel efficiency. Cons: One of the main drawbacks of a Honda Accord is their ability to hold resale value quite well. That might seem like a pro, but it isn’t when you’re in the market to buy a used one for your teen. Still, you can keep under the $10,000 mark if you go back to a 2008 model, and you’ll know it’ll be a worthwhile investment for years to come. Pros: These sturdy, well-built units are kind of like a cross between a regular car and an SUV. They have plenty of grunt (even in their fuel-efficient 4 cylinder models) which means good handling and extra safety for the precious cargo. Better yet, it looks super stylish – which, let’s face it, is one of the most important aspects of a car, especially a teenager. Cons: Like the Honda Accord, the Subaru Legacy is particularly hard to get a hold of in Australia. It’s not so much about expense, it’s more about the fact there aren’t that many models sold here. But if you do manage to track one down, it could be well worth your efforts! The extra grunt mentioned in the pros can also be a bit of a worry too, but only if your teenager is a rev head. Who wouldn’t want to be handed the keys to this on Christmas morning? 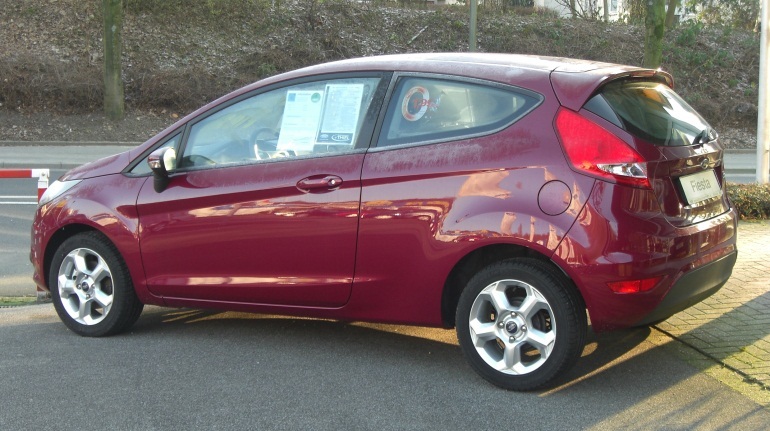 Pros: The incredibly budget friendly Ford Fiesta is a winner for those without too much cash to spend. You can pick up a 2004 model for around the $3000-4000 mark, and even some later models like the 2008 or 2009 for not much more. They are little zippy cars that make parking a breeze, without being so small you impede on safety. All round, a great first car. Cons: Most Ford Fiestas are only three door, which makes it harder for your teen to offer lifts to their friends. Most of the used cars you find are probably going to have already clocked up the kilometres, too, which means they might not be a long-term plan. In saying that, they’re still going to last for a couple of years at a minimum, making them the perfect first car to test out before your teenager saves up to buy a more expensive car! The Ford Fiesta is a great way to zip around town, and it’s super cheap! Pros: It’s an Audi! 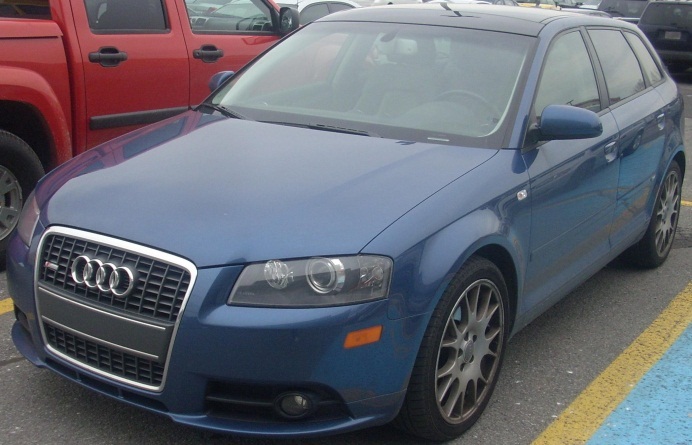 OK, so it’s not exactly an R8, but it’s still a brand known for their luxury feel, even in their older A3 models. This is a stylish little hatchback that is sure to impress on looks alone, but will also be dependable and a delight to drive. Cons: Well, it is an Audi… so it does cost a little more. Still, we’ve recommended 2006 and 2007 models because they aren’t too old, but can still be purchased for around the $10,000 mark. If you want to get a safer, all-wheel drive rather than the front wheel drive, you might find yourself spending a little more, too. But can you really put a price on safety? Pros: Speaking of fancy cars… can you really go past a BMW? The 3-Series can be a bit pricey, but if you check out some of the older models from just 8 years ago you can actually get quite a good deal. Again, they look super smart and sleek, and you’re buying a very trusted brand. Cons: Add up those dollars mum and dad! The BMW (as expected) can come with a bit of a price tag. You can usually find a 2006 model for around the $12,000-13,000 mark, which isn’t too bad but might be a bit much for a first car. We recommend leaving the BMW 3-Series for those with safe teenager drivers. BMW for a first car? Don’t mind if I do! Pros: It’s potentially illegal to mention the best first cars for a teenager without talking about Toyota. 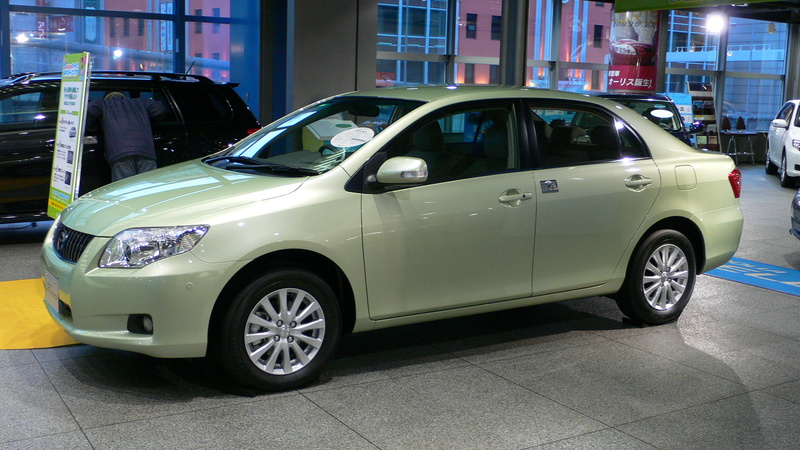 This brand knows how to do reliable and efficient, and their Corollas will just keep running, and running, and running. They are also particularly comfortable to handle, meaning less risk of crazy antics while on the road or safety issues. 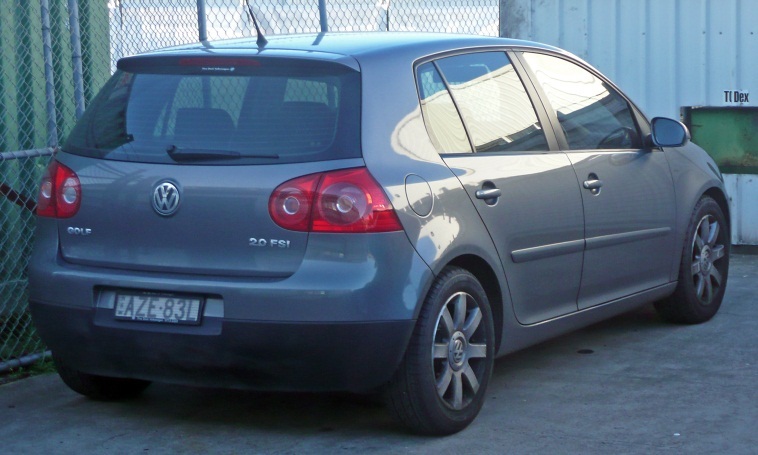 The price is definitely right too, with 2006 models starting at around $3,500! Basically, it’s the car you buy if you want to sleep soundly at night while your teenagers go out and be able to confidently know it will last the distance. Cons: The Toyota Corolla might be considered a bit… uninspired. Compared to some of the flashier cars on this list, it might be seen as a bit boring to your son or daughter. That being said, hopefully they’ll just appreciate having their own set of wheels! It’s not the most exciting car, but it’s certainly affordable and safe! Pros: This is one of the classics when it comes to affordable cars for young people. At around $6,000 for a 2006 model, this vehicle is super affordable and keeps you saving thanks to its fuel economy. Because it’s reliable, you don’t have to worry about lots of mechanic bills, either – not for the first years, anyway. Cons: The Honda Civic is a great first car without too many cons. It’s not the most exciting car, but it certainly gets the job done and would be considered a great starter vehicle. Pros: Volkswagen Golfs have really made waves on the road in recent years, and for good reason. Not only do they look good with their unique design, but they are a real dream to drive. While the more recent models will set you back a bit much for a first car, it’s safe to head back as far as the 2004 models which start from around $5,000. Not bad! While it has four doors (hello, easy transport of friends), it’s still a small hatchback, making parking super easy. On the inside, it’s got that stylish European design that you just don’t find in other brands. Cons: There aren’t really that many cons to buying a Golf, except that they can start to really hike it up in price with the newer models. Not much of a con if you’re willing to buy something older for an affordable first car! Pros: The Subaru Impreza is a serious beast of a car. It packs plenty of punch, but at the same time is an all-wheel drive, meaning it’s super safe to handle. Your teenager can safely transport all their sporting gear, friends, and whatever else they have in their car without fear of it lagging in traffic or while merging onto the highway. 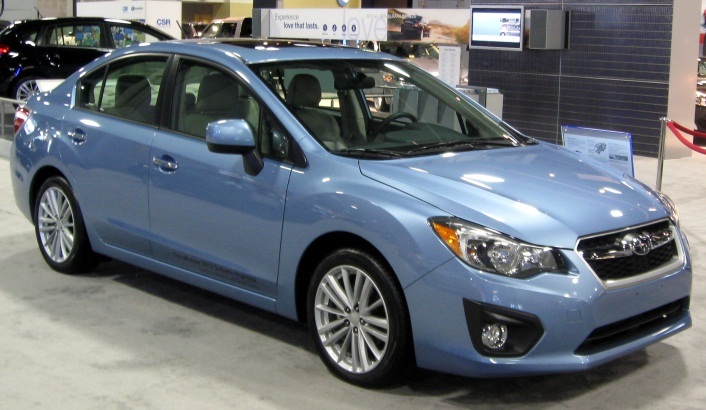 As a bonus, the Impreza looks awesome, and will definitely impress your son or daughter! Cons: Hello, price tag. 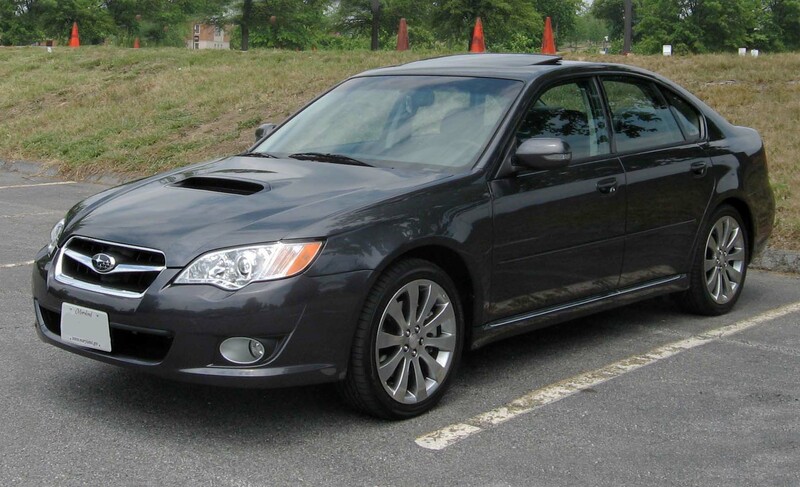 The Subaru Impreza isn’t exactly what you’d consider a “cheap” car, although $15,000 for a 2012 model isn’t too bad when you consider how new it is. If your budget allows for it, we can’t recommend the Subaru Impreza enough! Pros: And so we come to our number one pick: the Mazda 3. This is really *it* when it comes to affordable but stylish, packed with plenty of features without the attached dollar signs. Mazda offers plenty of colours to choose from, meaning you can really find something that suits the personality of your teenager. How much will this set you back, I hear you ask? 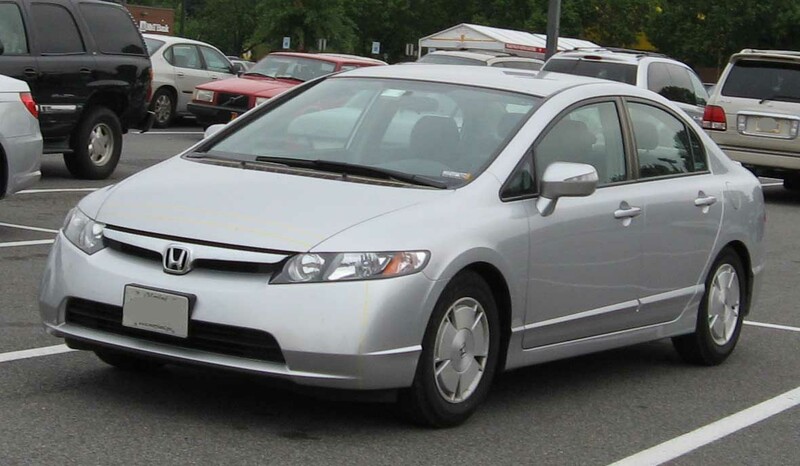 For a 2006 model, prices start at around $6,000 (or even less!) All round, the perfect first car for a teenager. Cons: None! There’s a reason why it’s number one. Great design, great to drive, great colour range – it’s all win with the Mazda 3!